Which is the Best Bluetooth Garage Door Controller? Currently, the IOT devices that garner the most headlines tend to be pretty obvious. 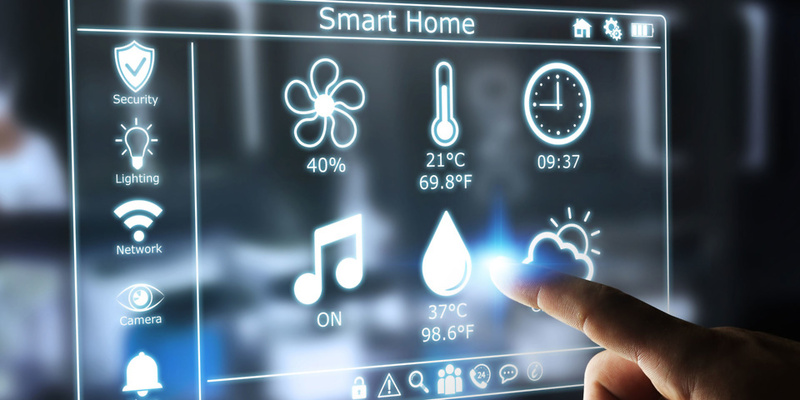 Light switches, thermostats, and video doorbells have all hit the headlines in recent months, as consumers become more accustomed to seeing connected devices around the home. Some of the most interesting IOT projects however, lean more towards the obscure end of the market. Here we look at 5 examples of slightly more obscure IOT devices. rd mirror, by incorporating a camera, display, and smartphone app to help analyze your skin’s condition,and give advice on how to improve it. The display itself is a 14″ TFT LCD panel, and is motion controllable. Navigate through the information displayed on the mirror simply by waving your hand in the corresponding direction. The mirror can take photos of you on a daily basis, and help you compare you skin condition days, weeks, and months at a time. The HiMirror has the ability to track the progress of 4 users at a time, meaning that the whole family (aged 13 and above) can use the product, and track their skin’s health individually. HiMirror tracks and give suggestions on areas such as skin firmness, brightness, lines, wrinkles and complexion. 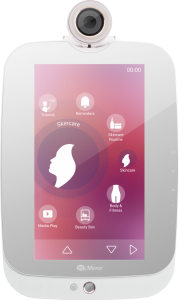 If you are someone who has battled with skin issues, or perhaps you are just reaching an age where you have noticed the aging process more than you anticipated, HiMirror could be a great addition to your smart home, and retails for $160 at the moment on Amazon. wer you are looking for. This smart garden hub is wi-fi enabled, and gathers weather information ahead of time, which intelligently waters your garden when it is dry, while turning the taps off when rain is forecast. The people behind GreenIQ believe this could save some owners 50% on their water bill, when pitted against other automated systems. The GreenIQ hub connects to your existing irrigation system, and can even interact with lighting systems too, if that is your kind of thing. 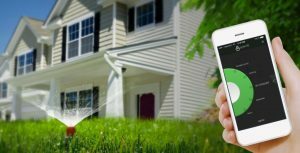 Have a huge garden and weak wi-fi? Worry not, as GreenIQ also has a cellular option for those with connectivity problems. GreenIQ retails for $249.99, and is available from Home Depot and other such stores. come smarter and more useful. Take for example the AirMega 300S and 400S. 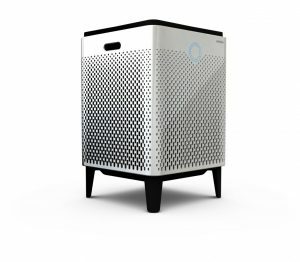 These smart air purifiers test the air quality intermittently, and react depending on the levels of impurities it discovers. For example, if the AirMega detects good air quality for 10 minutes, it will turn the fan off completely, and only turn it back on when it detects a dip in quality. The built in light sensor also knows when you are sleeping, and will lower the speed at which the fan rotates, to allow you to sleep without distracting noises. The Max2 filters used by the AirMega 300S filter 99% of volatile organic compounds (VOCs), as well as dangerous fumes such as NH3 and CH3CHO, while also neutralizing 99.97% of other particles in the air such as pollen and other allergens.The AirMega 300S retails at $649, while its bigger brother (the 400S series) starts at $749. ch off and notify you when it has finished, or change temperature at a certain time during the cooking process. Great for those recipes that require a quick blast of heat to brown the surface of the food, before reverting to a lower temperature for the last 2 hours. The included thermometer also allows for changes in cooking temperature, and notifications when the centre of your meat reaches the desired level. Under and over-cooked food can be a thing of the past, as June is also wi-fi connected, and can suggest appropriate cooking times for any item of food you place inside it. 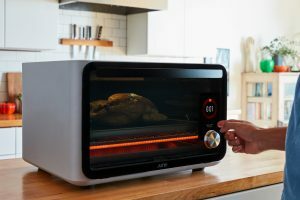 The built in camera and weighing scales can recognize most food types using image recognition software, and is powerful enough to know when a bagel is placed cut-side down, and adjust the heating accordingly. Recipe times can be altered on your smartphone, and updates to the software roll out automatically, so no need to worry about security. The June Oven is avail able now, for $1495. With wi-fi connected beds rolling out, it was only a matter of time until the sensors inside them became even more intimately acquainted with us, and the Mimo Baby Sleep Tracker is a perfect example of this. Built to monitor your new born baby, this sleep tracker with notify parents of any abnormal breathing patterns, temperatures, or excessive movements. Parents using the smartphone app (IOS only at the moment) can also hear a live audio feed from the kimono, and even review the baby’s sleeping position. This can be extremely useful when trying to work out issues with your little one’s sleep pattern, and for those parents worried about wi-fi signals flying through their offspring’s body while it sleeps, this particular sleep tracker uses BTLE, which is widely regarded as the safest wireless technology out there today. For parents who find the average baby monitor underwhelming, this brilliant little gadget will give you peace of mind, knowing that if the worst should happen, such as your baby stops breathing, you will be notified immediately. Starting at $199 per kimono, the price tag is relatively low for new parents who find it difficult to relax when the baby is asleep in a different room. The Mimo Baby Sleep Tracker is also compatible with Nest Thermostat, and NestCam, allowing you to lower the temperature if the baby is hot, or simply take a look in the room if you notice they are distressed. 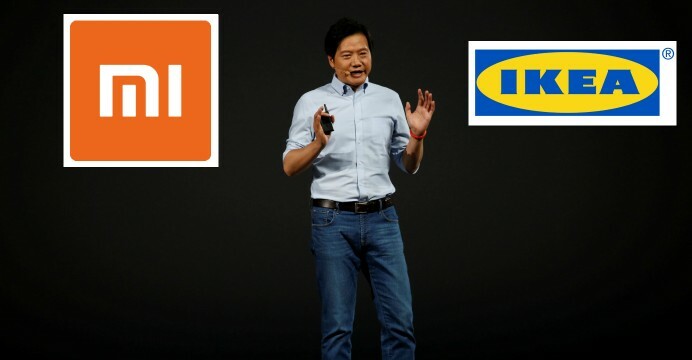 What’s up in IoT? Latest News 20.11.2018. Subscribe to our newsletter and receive our eBook for free! What’s up in IoT? Latest News 31.10.2018. What is the Best Z-Wave USB Stick? What is the Best Smoke Detector? Buildyoursmarthome.co is a participant in the Amazon Services LLC Associate Program, an affiliate advertising program designed to provide a means for sites to earn advertising fees by advertising and linking to Amazon.com.